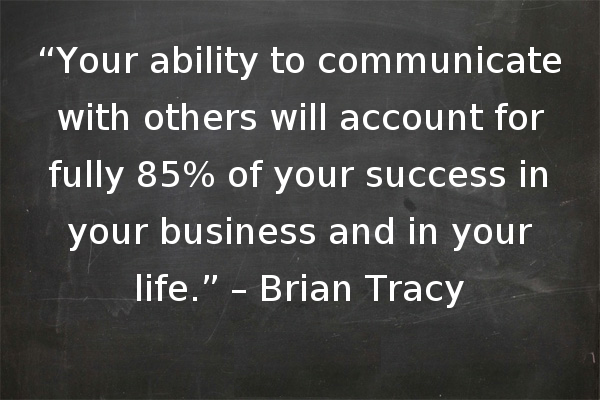 Effective Communication is THE KEY to Success! Just a little Friday positivity…. It takes in thousands of thoughts everyday, with the capacity to help us accomplish our goals, and reach our full potential if we let it. We have the power to choose. The choices we make will determine the thoughts we think; the thoughts we think will also determine the choices that we make. So, it is important to be mindful of the choices we make and the thoughts we think. If our thoughts are productive, then our actions will be productive. If our actions are productive, then our results will be productive. By the same token, our mind can hinder our progress if we allow thoughts that are negative and counter-productive to become valid. Our mind is a special gift that each of us has received. It WILL help us IF we let it. We will get what we think about. So, it is important that we take the time to govern our thoughts. We can reach our goals and get the things we want by altering our thoughts and changing our actions. Our future is bright, and our opportunities are exciting. Let’s take full advantage of the opportunities we have and the future before us by magnifying our thoughts in a Positive and Productive way. WE can learn how to alter our thoughts and change our behavior so that the life we want and the successes we desire can be ours. Just watched this. She is amazing. Being different and being better because of it. I am attempting to be a better person. I am having to watch these motivational videos for school and I am learning from it. I hope that my sharing them with you can help you in being a better you.